But a true one. The word manga was coined in the 1800’s by Katsushika Hokusai when he released his work Hokusai Manga, a 15 volume collection of his woodblock prints. (As a manga fan, it’s nice to know that an artist, not a company, invented the word.) Hokusai’s manga, however, had little in common with what we call manga today. Much of that came from outside Japan. Let’s take a look an the art form itself, to see how the world helped create the medium now considered distinctly Japanese. It was only when Charles Wirgman, a British news corespondent and cartoonist, started his own publication in 1862 that Japanese manga started evolving into what it is today. Japan Punch was an English language Japanese political satire magazine distributed among the Brits living there. It used word bubbles in its political cartoons, which Japanese artists were quick to pick up on and use in their own newspapers. Prior, if words were used at all they were placed somewhere in the blank space on the page. Later, a French magazine began publication in Yokohama in 1887. Called Tobae and created by French painter Georges Bigot, Tobae used a narrative sequence to style his cartoons. Meaning, panels. Tobae proved to be a failure, but the usefulness of cartoon panels was not lost on the Japanese, who again assimilated it into their own work. Rakuten Kitazawa was a Japanese illustrator working for an English language Japan-based magazine. Later, he struck out on his own with the popular Tokyo Puck in 1905. After visiting the US–the world’s cartoon capital at the time–to study illustration, Kitazawa saw American comic strips targeting children and realized the enormous hole in Japan’s manga market. Kid-targeted manga was born, meaning you have Rakuten Kitazawa to thank for Naruto, Bleach, and One Piece. Believe it! Ippei Okamoto was one of Kitazawa’s contemporaries who had also visited New York to study illustration. More important for manga though, was where Okamoto lived. He grew up in Tokyo, and was a big fan of a trend called “moving pictures” imported from the west. The first movies’ cinematic style deeply influenced his work, becoming the seed of modern manga and anime’s stylistic flair. Manga’s “god” Osamu Tezuka was also later influenced by films. His father had been a big foreign film fan and Tezuka, enjoying them too, incorporated their techniques into his manga. And of course many of manga’s stylistic aspects cross over into anime. Every anime reviewer I read comments on animation quality, but very few comment on the cinematography. We like anime not just because of the animation (and story, and characters, etc…) but also because it has the structure of a silver screen production. Dramatic angles, points of view, close ups, action scenes: what makes anime anime is that it’s cinematic. Just like Disney, anime treats itself like a serious cinematic production–and that’s we we like it. Speaking of Disney, Osamu Tezuka was heavily influenced by them. Those big anime eyes? Disney. Every time you look into your favorite 2D girly or guy’s eyes, you’re looking at a stylistic relative of Mickey Mouse. At times Disney characters themselves were even lifted and placed into Tezuka’s work. (And horribly murdered.) 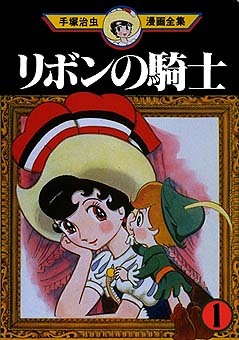 That link is a parody made by Tezuka (which again, horribly murders Mickey Mouse clones and wears their skin as a disguise) but the little midget clinging to the princess’s shoulder below bears a striking resemblance to Peter Pan. Disney, of course, later stole Tezuka’s Kimba The White Lion for The Lion King. After all, “there’s nothing new under the sun,” says the preacher. And that’s how the west made manga…anime too. “Made” is a really strong word. It’s more like heavily inspired. I said it was sensationalist, right? Still a really good read though. I really enjoyed this post. The Japan we all know and love today is a combination of many different countries on the japanese culture and is nice to see someone acknowledging them thanks for making it short and sweet and for always teaching me cool stuff! Wahhh so your very nice!!!!!! !